Apps or metadata that mentions the name of any other mobile platform will be rejected. The rule recently led to a news reader app that innocently included an Android reference in one of its screenshots being forced to submit a new update to get through the gates. Why does this old rule – it came into force in 2010 – matter now? 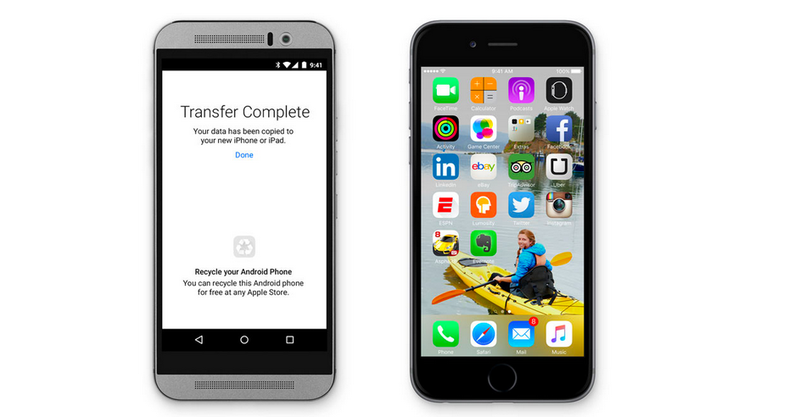 Because with iOS 9, Apple’s introducing Move to iOS, an Android app that will allow you to quickly shift your contacts, message history, photos, videos, bookmarks, mail accounts, songs and books to your new iPhone. The Android app will also reconstruct your app library on your new iOS device by automatically grabbing the free apps you use and putting the paid ones on your iTunes Wish List. I’m an iOS user. I’ll be upgrading my iPhone 5s to the next generation when it arrives later this year, but I still think Apple’s hardline on developers even whispering the name of the little green robot is childish and hypocritical.